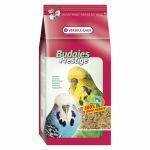 Budgies Prestige Bird Food: Multicoloured maintenance food for budgerigars and other small parakeets. 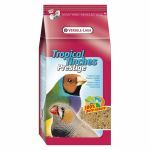 Tropical Finches Prestige Bird Food: A premium mixed feed for all tropical finches. Tropical Finches Prestige meets all their specific dietary needs. Prestige Loro Parque African Parakeet food: Specific feed for small African parakeets such as: Roseicollis, Fischer, masked love bird and other types of Agopornis. Parrots Prestige Bird Food: Traditional tasty food mix for parrots, made with lots of delicious nuts and seeds for all types of large parrots.